A memoir of a young woman reclaiming her courage in the stark landscapes of the north. ...[a] stunning and sharp book ... As both a storyteller and a stylist, Braverman is remarkably skilled, with a keen sense of visceral detail that borders on sublime. But her ability to draw readers into heart-pounding action sequences — from the 'perfect wave' of a sled dog team bounding across the snow to the disorienting rotor wash of tourist helicopters in a whiteout — is what makes the book so courageous and original as both a travel narrative and a memoir of self-discovery. Part of me wanted to shut the book before another man did something awful. I didn’t, because I recognized that Braverman, an unflinching journalist, has written something extraordinary ... while we are treated to spell-binding scenes involving dogsleds and blizzards, unlikely friendships and unforgettable characters, at the story’s center is Braverman’s clear-eyed, at times heartbreaking account of navigating a space that is not unique: the wilderness that is the world of men ... What happens to most women are not unimaginable, sensational crimes, but smaller, repeated violations that if not known by us, are fully imaginable. Braverman shows us how they happen, how and why we often dismiss them, and how easily they can strip away a woman’s power, leaving her in sometimes paralyzing self-doubt and fear. 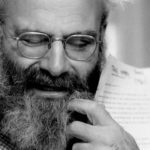 ...[a] remarkable memoir ... Though the narrative jumps back and forth in time, Braverman’s clear, firm voice holds the story together ... It’s amazing to watch as she develops backbone and grit, determined not to let anyone or anything stand between her and the icy landscape she loves so much. 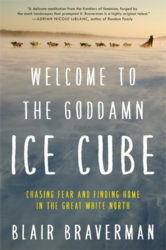 What did you think of Welcome to the Goddamn Ice Cube: Chasing Fear and Finding Home in the Great White North?